When we learn how to quilt we learn how to do a lot of different things. Think about it, when quilting we learn how to measure, sew, and how to have an eye for detail. Sometimes those skills even help us out in different ways. Today we have a tutorial over how to make a candy bag zipper pouch! Yes, it’s exactly what is sounds like, a cute little pouch made from candy bags. Our favorite candies can be turned into an adorable make up bag or something to hold our quilting tools! 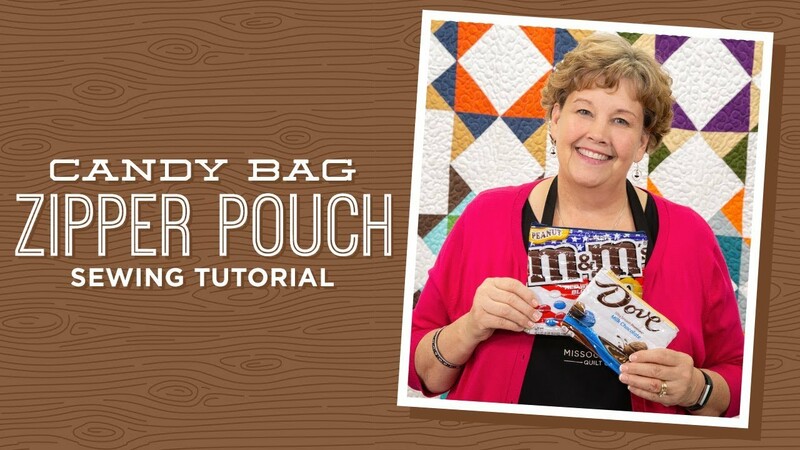 The tutorial is by Jenny from the Missouri Star Quilt Company and she really makes creating this pouch easy so beginner are welcome to try! As always, we have to get a few things together before we jump into the tutorial. We will need a candy bag, the size being whatever we prefer, a zipper, scrap batting, scrap backing, and a pack of iron on vinyl. The specific material used in the tutorial can be found in the description for the video. Jenny also goes over them in the tutorial. Once we have gathered all of our needed things, it’s time to jump right in! These bags are just darling. Jenny is always entertaining and such a huge help so the video is really worth watching.